These changes will allow the Project to gain more freedom and appeal while aligning in full with the overall GESPAM scope and framework. 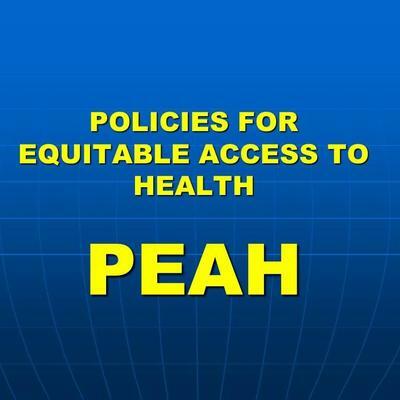 As such, in the wake of GESPAM success, PEAH keeps focussing on the best options for use of trade and government rules related to public health in resource-limited countries. -the effects of current trade agreements and intellectual property (IP) standards on access to health services and appropriate, high-quality medicines. -the opportunities offered by new financing mechanisms and innovation models for fair access to care, food and treatments and the development of medicines for diseases that disproportionately affect the developing countries. -reliable ways for better coherence and collaboration among stakeholders supposed to streamline access to health priorities. These questions are to the point now that the impact of governments’ policies on public health and access to appropriate, affordable, high-quality medicines is an issue of global concern in the international agenda. And this occurs at a time when more than half of a total population of 5 billion people in developing countries rely on less than $2 per day, counterfeit/substandard drugs are booming, and key medicines are under prolonged patent regimes which are further exacerbated by free trade agreements and governments’ choices turning IP agendas into policies which protect monopolistic interests at the expense of unbiased access to lifesaving medicines.